In the glorious year of 2016 anyone planning an event is constantly on the run and the need for utilizing mobile apps that can help you stay in touch, stay engaged, and stay up to date on your event planning are absolutely essential. From email apps and social media apps to analytical reporting apps and more - MeetingPlay has the ultimate list of best mobile event apps every event professional needs! If you’re wanting an app that can help you schedule cross channel social media posts – on Twitter, Facebook, Google+ or LinkedIn (As well as 30+ other social media networks) – Hootsuite is the way to go. Not only will it let you connect your personal social media channels for engagement and scheduling post opportunities – you can also connect your business and event pages to automate your engagement messaging across social channels. Available for Android and iOS. (If for some reason you’re not in love with Hootsuite, Buffer is a similar social media management and scheduling app available for both Android and iOS as well). 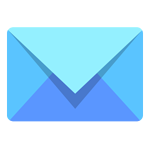 Want to connect your email to your mobile phone – whether you use Gmail, Outlook, Exchange, Hotmail, or multiple other email solutions? You need CloudMagic. “The email app that’s simple, beautiful & blazing fast” – there’s no denying this minimalist design app is anything but minimal. Connect all of your email accounts in one, beautiful and user friendly location – the perfect solution for any event professional who emails from their mobile phone. Available for Android and iOS. Many event professionals may remember the day in which Skype was nothing more than a video and voice calling service for desktops. 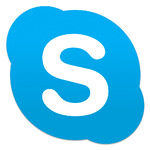 However today, available across devices – Skype is a free alternative to often times costly text messaging and voice calling when outside your country or when your phone is roaming. (Yes, we’re still trying to figure out if roaming still exists too). Available for Android , iOS, Windows and BlackBerry (as well as those more traditional methods like tablet, ipad and desktop). Oh the sadness when we learned that Quickpic was only available for Android devices. 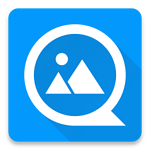 An alternative to the default Android gallery – Quickpic is the quickest, lightest, and most ‘modern’ user friendly photo gallery app! Priding themselves on ‘significantly smaller than other gallery apps, but pack(ing) more power than any of them,” there’s no denying event professionals who use Android devices need Quickpic! 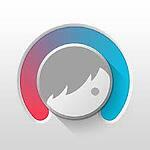 Available for Android. Not just for selfies. Want to quickly edit facial imperfections on the fly? Whether it’s to share a photo of you standing next to an event attendee and woops, you had a hair on your nose – or whether you’re snapping a group shot and that one event attendee insists your edit out their blemish – Facetune is the perfect photo editor for your mobile phone. Quick and effective, Facetune is Botox in a bottle (but on your mobile phone), teeth whitening and lipstick in an app, and the hairbrush you forgot to use – all in the sweetness and accessibility of your mobile phone. Available for Android and iOS. How could we talk about the best mobile apps for events and not mention MeetingPlay? The MeetingPlay app is an all in one app that provides support for event professionals in a custom, mobile app platform with multiple tools. From providing agendas, event galleries, a social wall, speak and sponsor information – as well as opportunities for networking, reporting and analytics for event planners, live polls with our unique audience response system à and so much more – there’s no questioning why MeetingPlay’s mobile event apps have one of the highest event adoption rates in the industry! Learn how MeetingPlay’s custom mobile event app platform can help your next event drive event engagement and ROI!